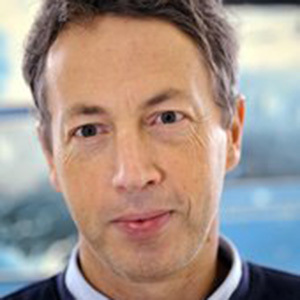 PI: Pierre-Yves Le Traon (20-Jun-17). 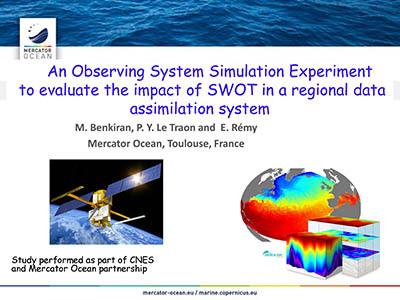 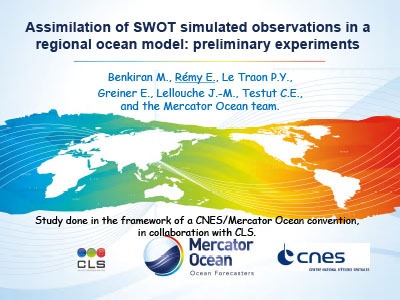 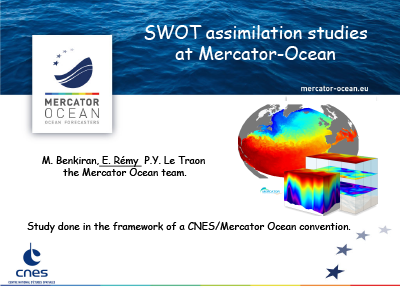 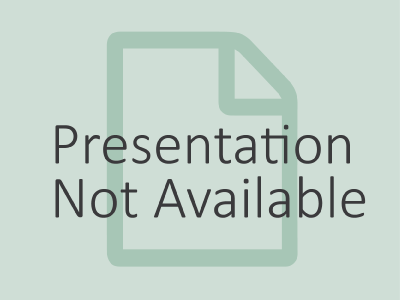 The main objective of our project is to prepare the assimilation of SWOT in Mercator Ocean and Copernicus Marine Environment Monitoring Service (CMEMS) high resolution ocean models. 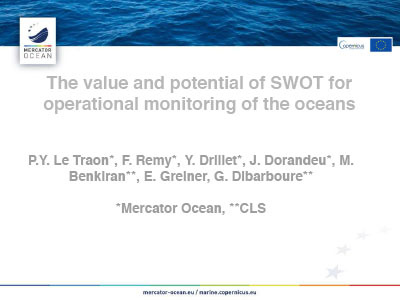 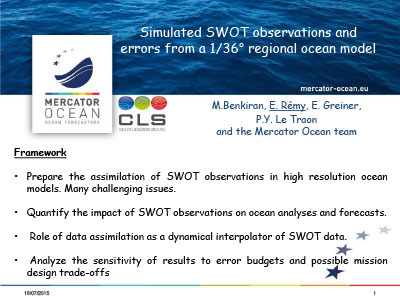 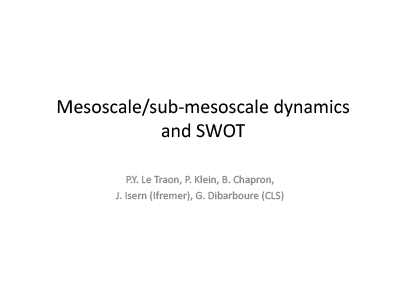 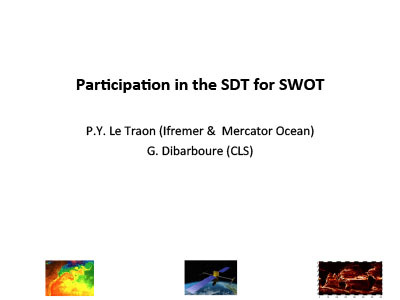 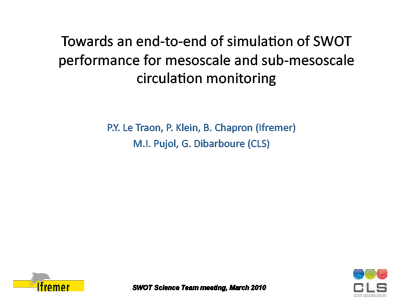 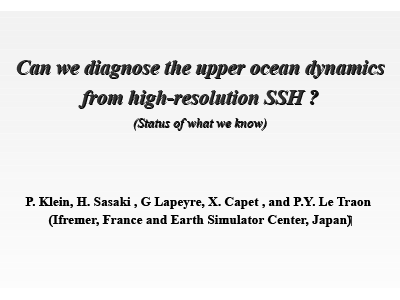 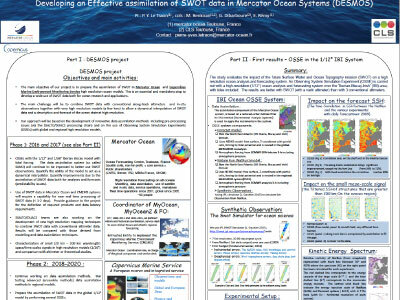 Assimilation of SWOT data together with conventional altimeter missions into ocean analysis and forecasting models is an essential and (most likely) mandatory step to develop a wide use of SWOT data for ocean applications.